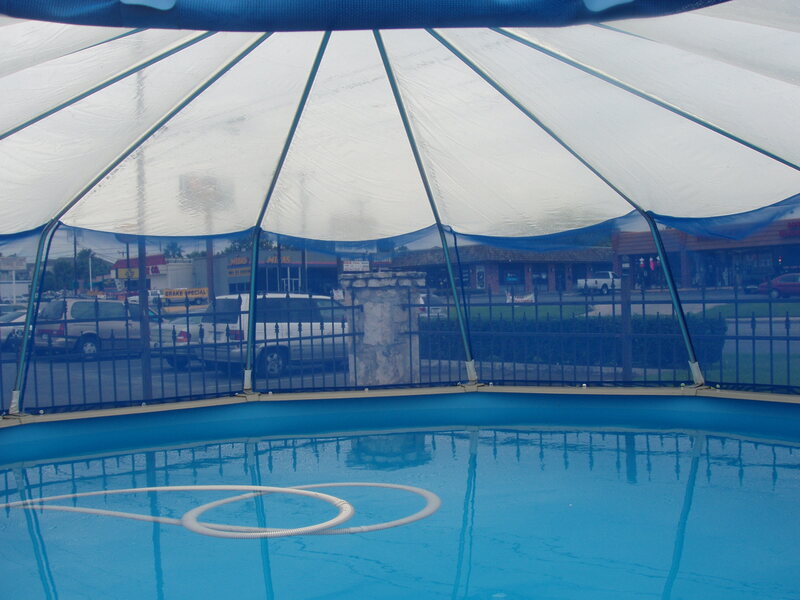 Our Sun Dome enclosure for your above ground pool will lengthen your swimming season and keep your pool cleaner from harmful air-borne debris and pollutants. 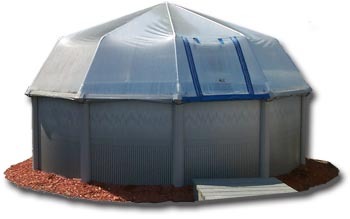 The dome will heat your water and the air temperature inside the dome. 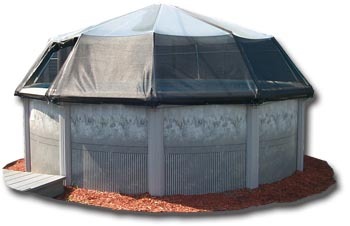 The Sun Dome will also reduce the amount of chemicals you use in your pool. 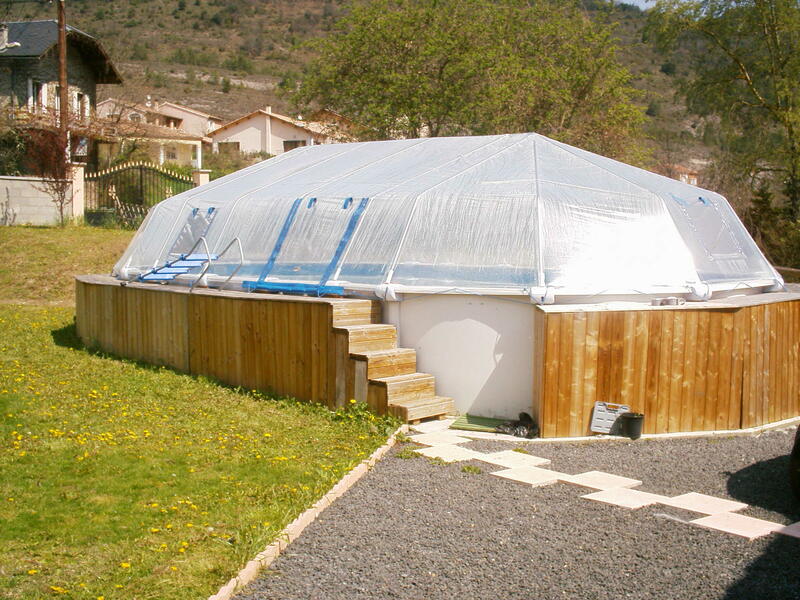 The above ground domes come in two shapes either rounds or ovals. 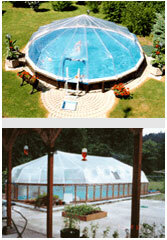 Our Sun Domes will fit most round or oval above ground pools. 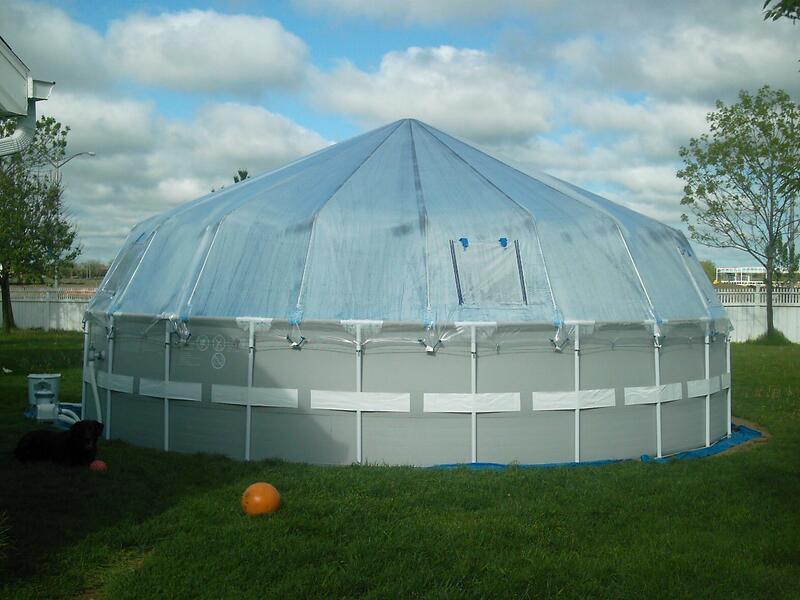 The Sun Dome also helps prevent water evaporation and is easy to assemble. 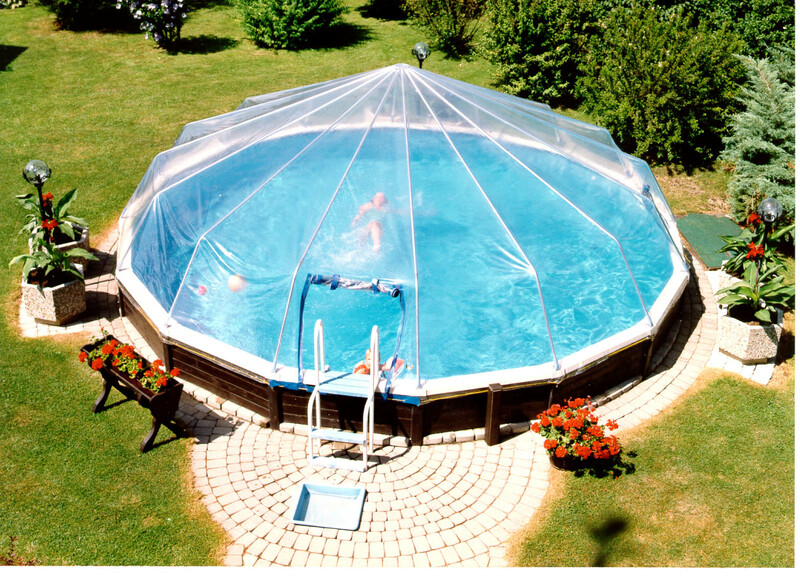 For an above ground pool it would take 2 people about 2 or 3 hours to put up. 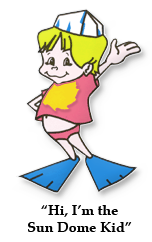 Once it is assembled it is very easy to take down and put up again.